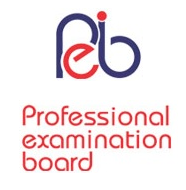 MPPEB Jobs Recruitment Notification 2018.Madhya Pradesh Professional Examination Board, MPPEB inviting applications for the positions of Junior Assistant Accountant, Assistant Accountant, Multiple Vacancy.Interested and Eligible candidates can apply for the positions. 1. Educational Qualification: Candidates should have passed Graduation in Commerce from the recognized institute or University. 2. Salary Offered: Rs. 30,000 /- per month. Age: Minimum Age Limit 18 Years, Maximum Age Requirement 40 Years. 2. Salary Offered: Rs. 10,000 /- per month. 2. Salary Offered: Rs.14,000 /- per month.